Summer is drawing to a close, September has started and that means back to the books for students! Whether you have never studied before, have years or experience studying or are returning from a break in studies, you can benefit significantly from getting organised early in the year, so we’re going to help show you how to get organised for the new academic year. Less wasted time – Getting everything in place now will save you time and make your studies much more efficient. Less Frustration – Once you have everything planned and organised, you will find studying much more straightforward and have fewer unplanned interruptions. A better learning experience – As you can study more efficiently and with fewer interruptions, you will be a happier and more productive student, which means your learning experience will be a positive and happy time. This advice applies to everyone, but is especially relevant to A level students or students on multiple courses, but it also applies to BTEC and Diploma students. Making sure you know what you are expected to do and learn will make it much easier to plan your studies and check your progress. Get organised now and you can avoid the dreaded midnight cramming sessions! Try keeping a printout of your subjects somewhere where you can see it regularly – it will remind you to study! If you are artistically minded, try making a creative design! Make sure that you have all of the materials you need when you get started. For most students at Oxford College, you will be provided with all the materials that you need in order to pass. However, you should check with your tutor for recommended reading and some subjects such as English Literature will also require you to have read additional books. Now is also a good time to check you have a way of organising your notes. 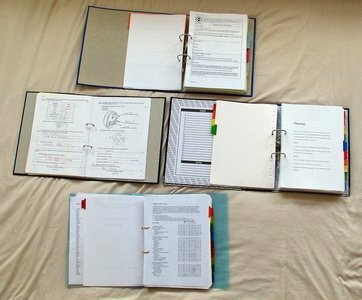 Keep your notes in a safe, logical and organised place, so you can refer to them quickly when needed. Try keeping your notes in one folder for each subject and split the notes by unit. If possible clear out a space to study, ideally in a space that you don’t use for sleeping, entertainment, eating ect. By having a dedicated study space, you can step into ‘study mode’ just by arriving at your study zone. Keeping this zone clean and uncluttered will minimise distractions and greatly help you to study efficiently. You might just be at the start of your studies today, but keeping organised is vital as your studies get more intense in the run up to exam time. ake a few moments every other week to declutter and re-organise your notes. Doing so will help keep your studies organised and means there’s less chance of a last minute panic over lost notes!